3d Printed Book. Artist's experiment. 3rd edition. Concept by Sheena Calvert, Shaun Borstrock. Developed/produced by Mark Bloomfield and Pete Brownhill. Traditional printing processes allowed the book to flourish as reproduction processes became distributed and accessible. Now, technology enables objects to be created and reproduced through a variety of 3D Printing techniques. These creative freedoms give the opportunity to redefine existing and understood forms; heralding a renaissance in three dimensional design. However a persistent desire to use these techniques in a traditionally understood context results in printed objects that mimic their predecessors. 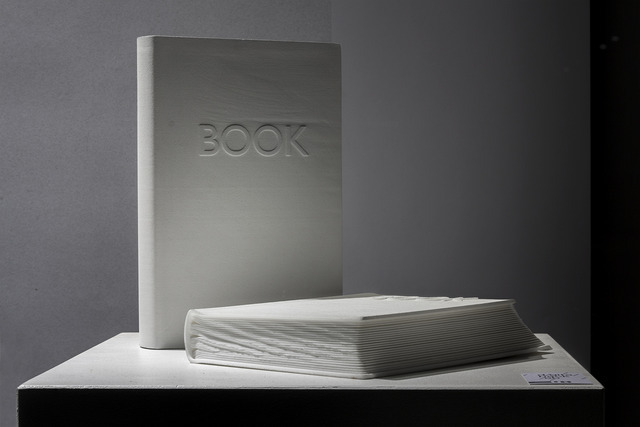 This 3D Printed book shows how the technology is able to duplicate existing forms but how it struggles to replicate the qualities of existing materials. The 3D data file that describes this object can be easily distributed, the text changed and new content added but in order for 3D Printing technology to rewrite the book, the very essence of ‘the book’ needs to be re-imagined, re-engineered and re-written. Material: Polyamide (nylon). 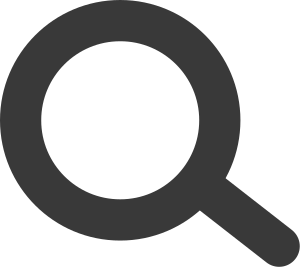 Process: Selective laser sintering (SLS).